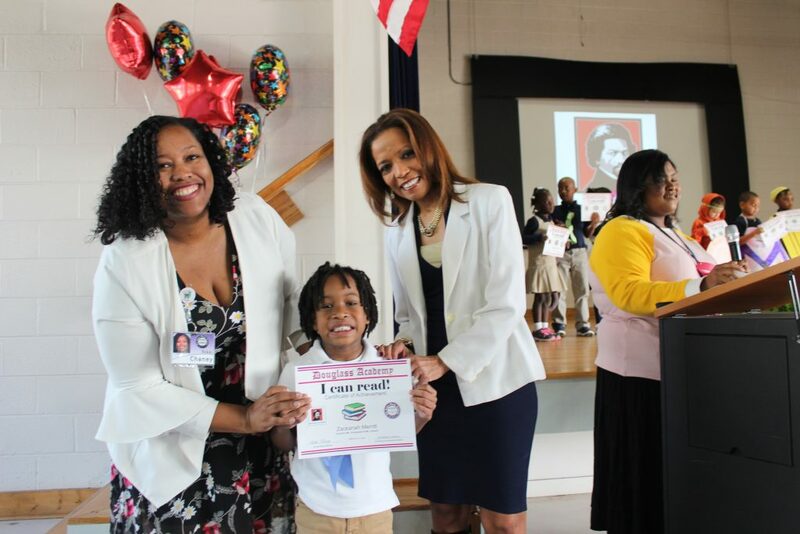 Douglass Academy Kindergarten student Zackariah Merritt proudly shows off his “I Can Read” certificate alongside Headmaster Nikki Chaney (left) and WECT Anchor Frances Weller (right). Kindergarten students received certificates and their own book as part of an “I Can Read” ceremony celebrating their landmark achievement of learning to read. The ceremony included students reading their new books before a packed audience of family members and featured special guest Frances Weller.